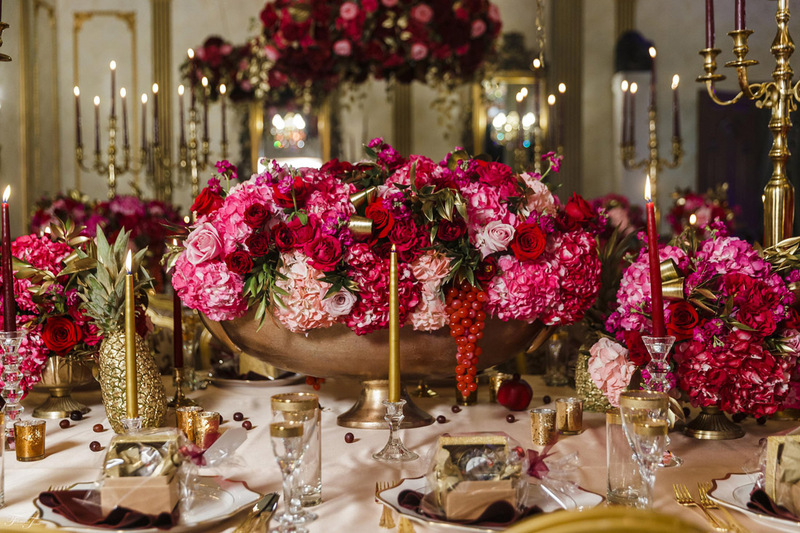 The company is based around the principal of couture event styling with a focus on high-end floral, décor and production for their clients. 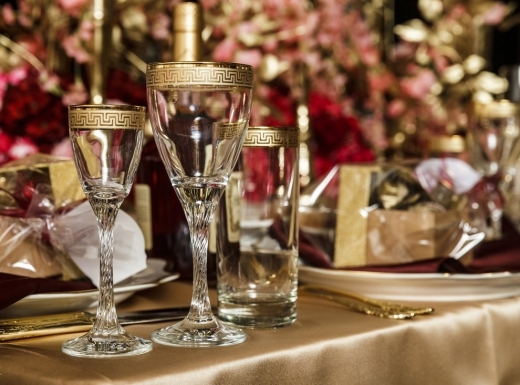 Their goal is to make dreams and visions come true. 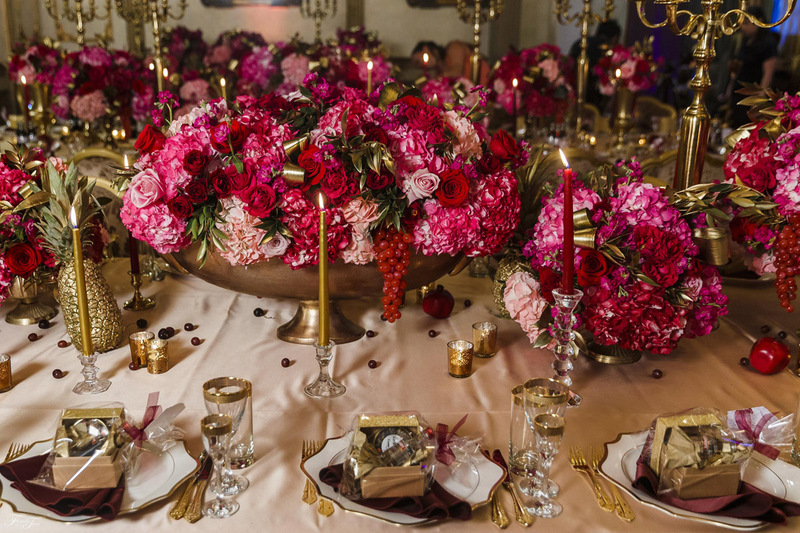 Through their passion, they bring creativity to every element of a wedding day or memorable occasion that people in attendance obsess over. 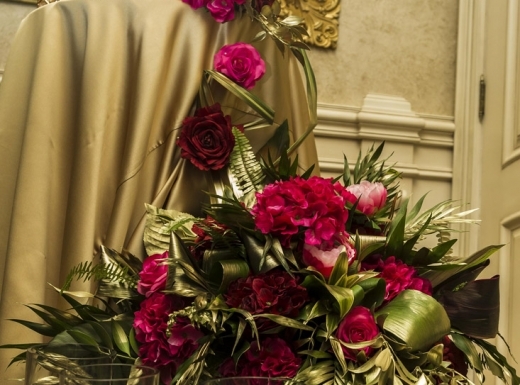 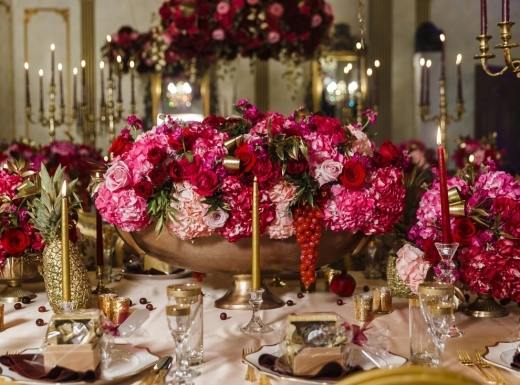 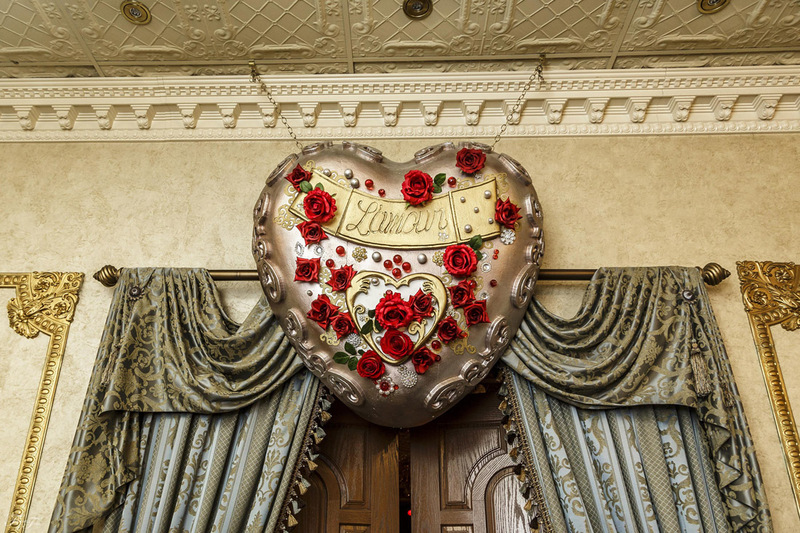 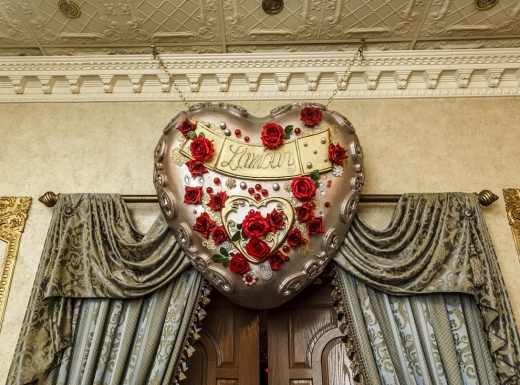 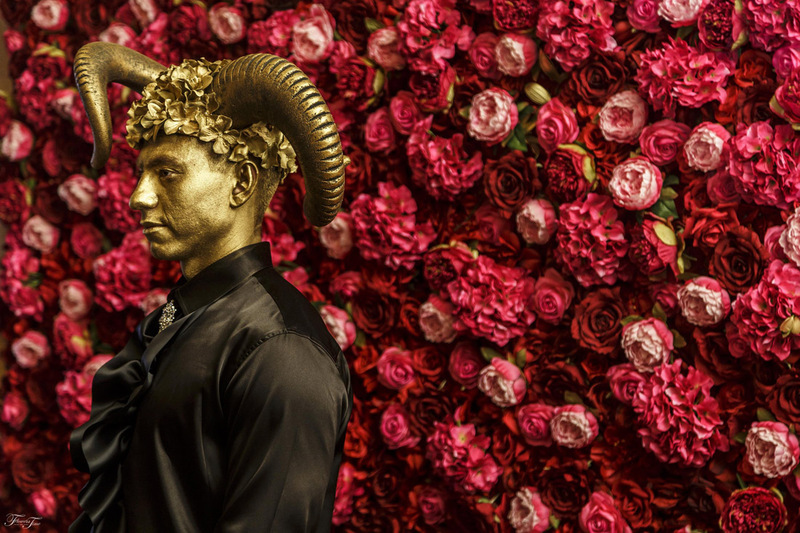 For this bride, whose bright and extravagant personality dreamed of a Dolce & Gabbana real wedding theme, Flowers Time worked with Engineered Arts who built art installations that mirrored the notable Dolce & Gabbana L’Amore advertising campaign. 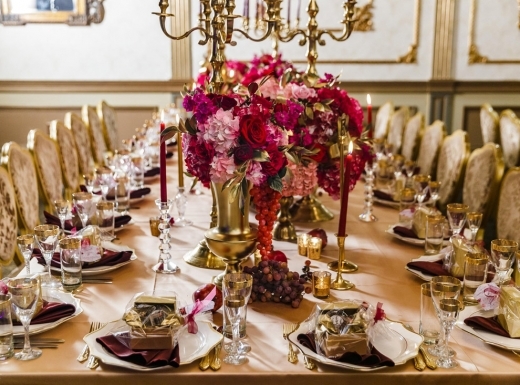 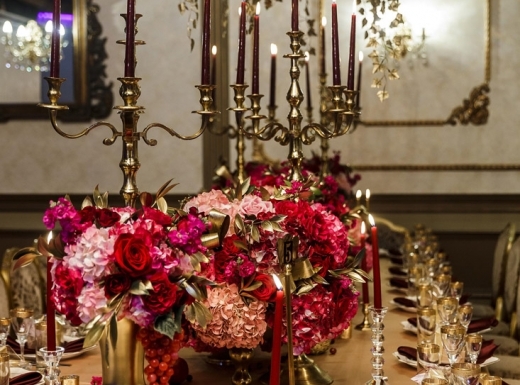 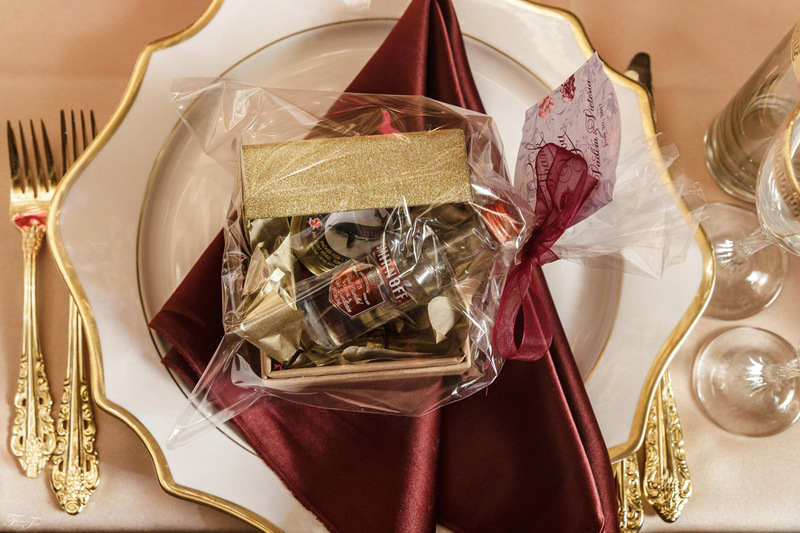 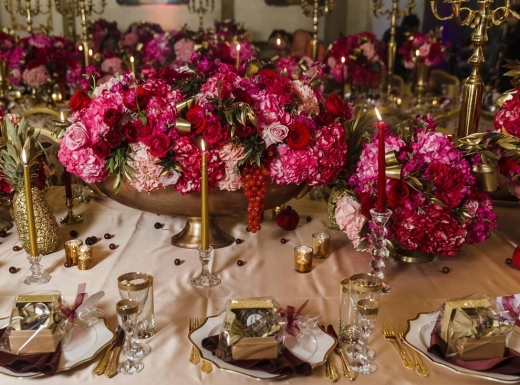 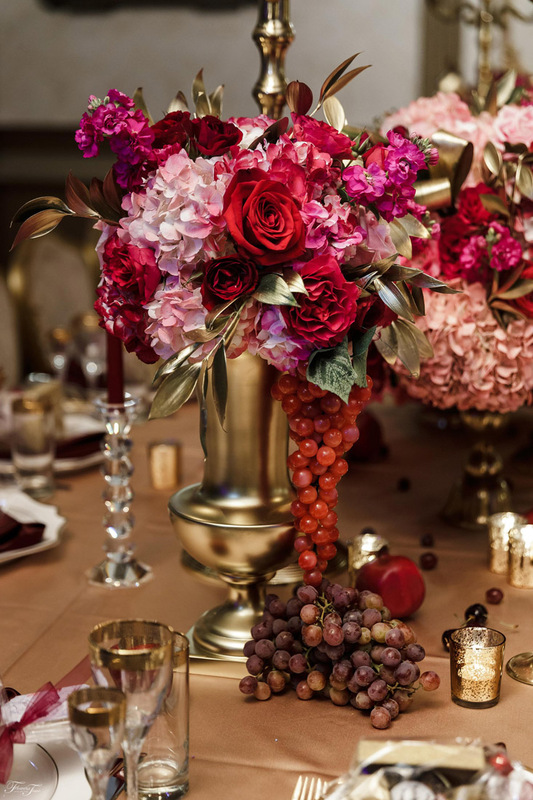 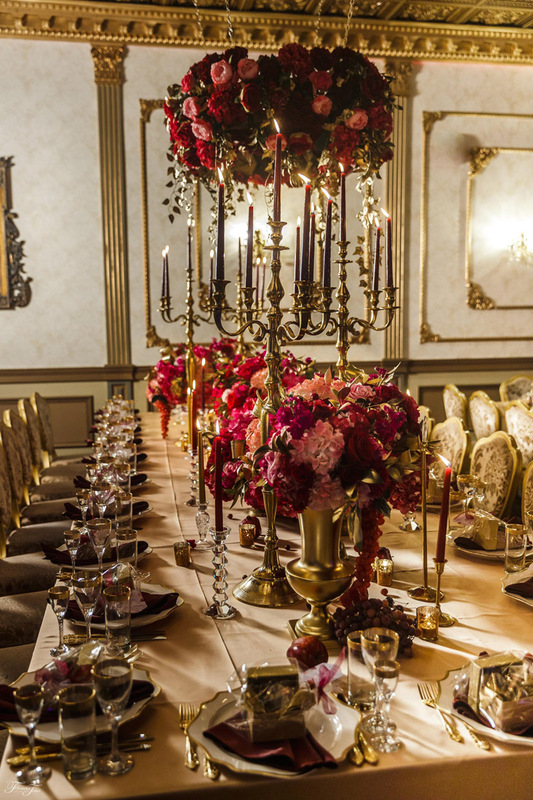 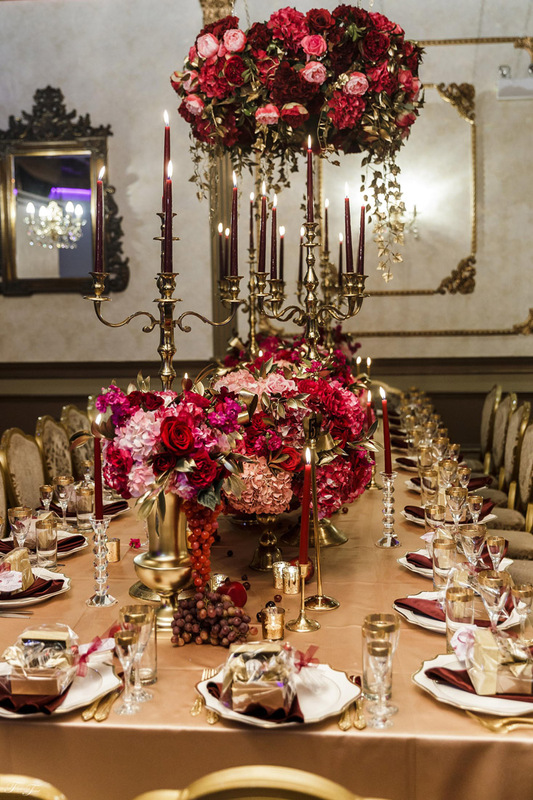 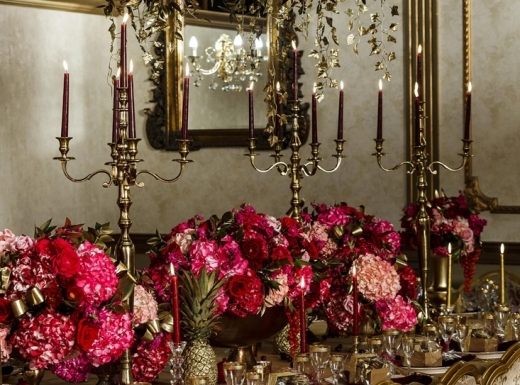 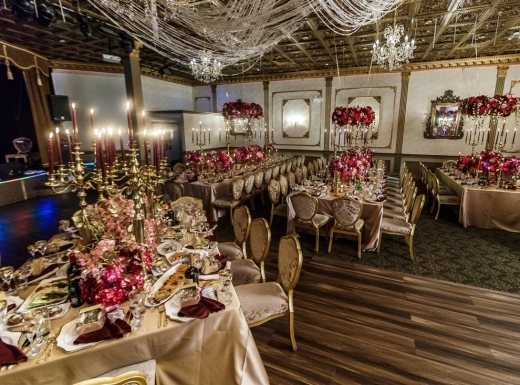 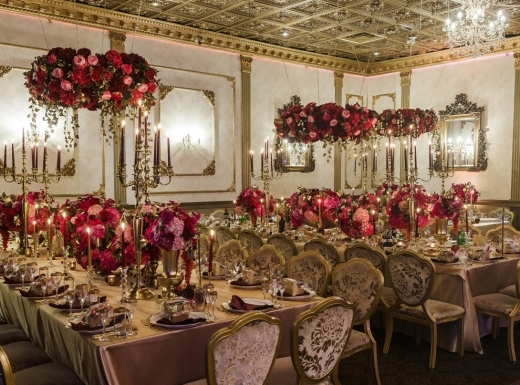 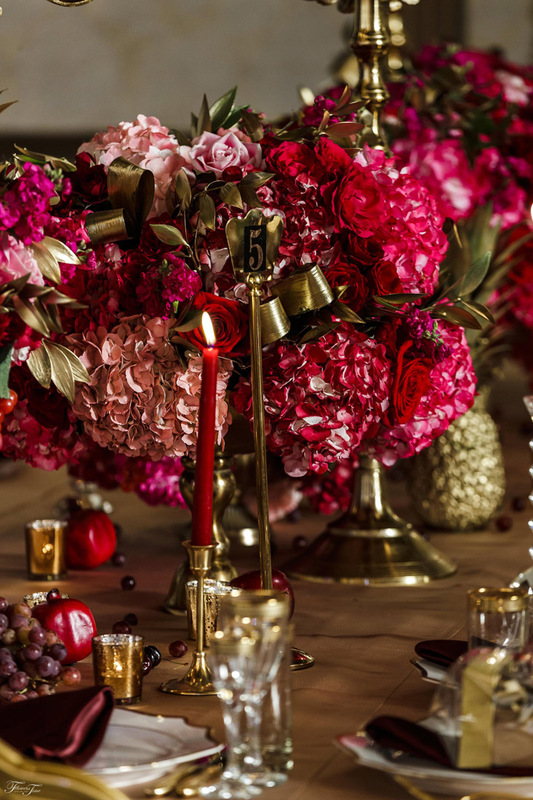 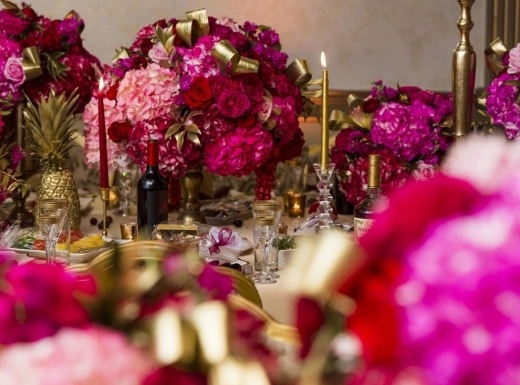 Rich metallic gold filled the room bringing an opulence that was unparalleled and intensified the use of bold and striking reds with a chic edginess. 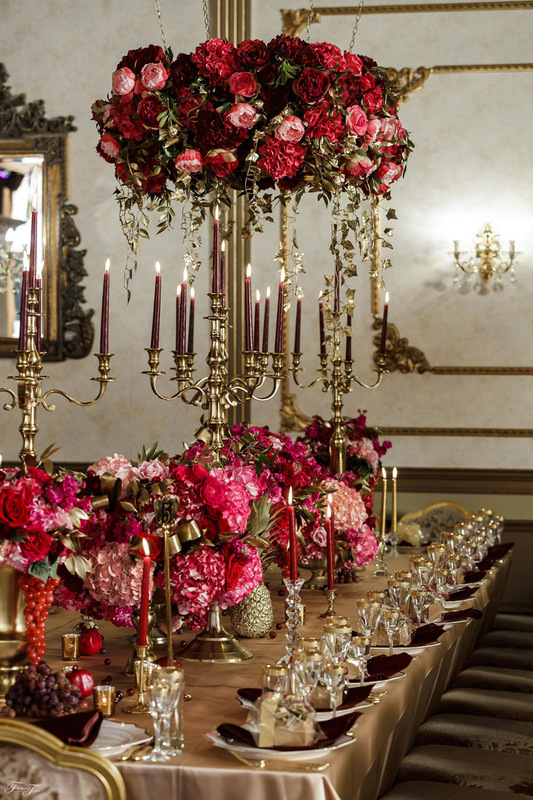 We love a bride who can set the style bar high! 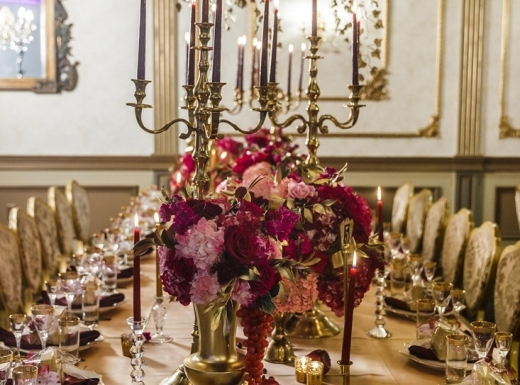 You nearly have to pinch yourself to remember that this is a real wedding and not a styled shoot. 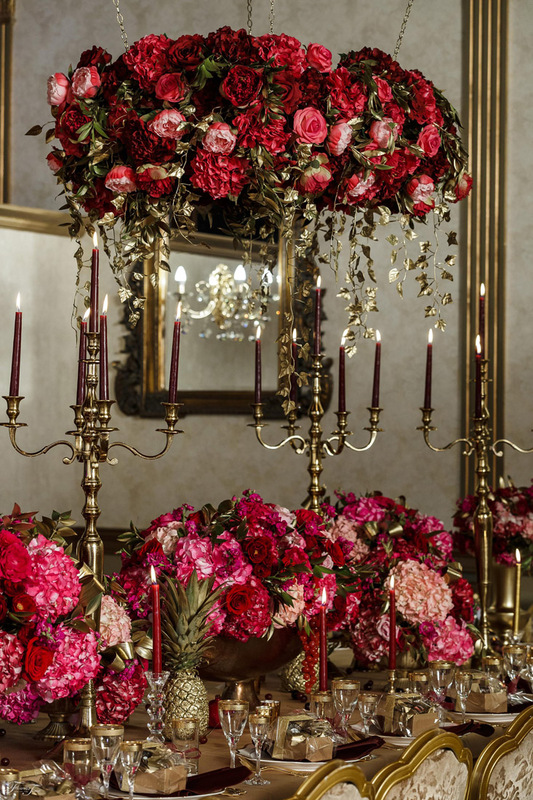 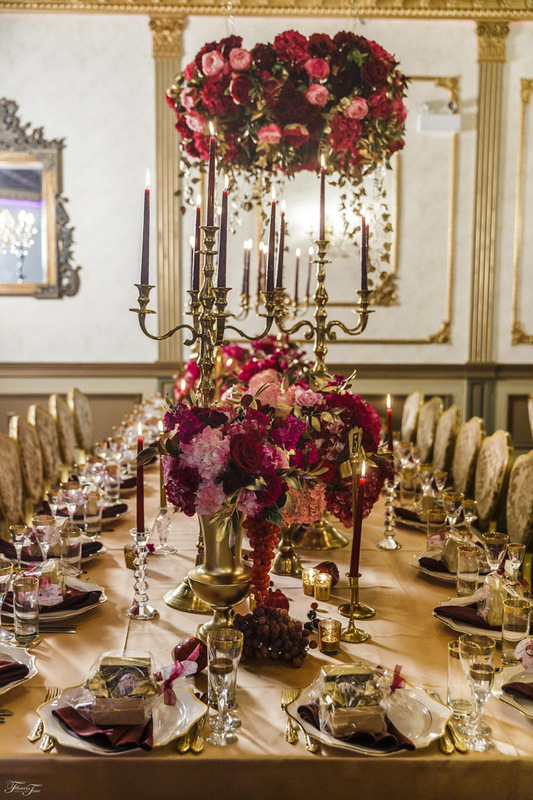 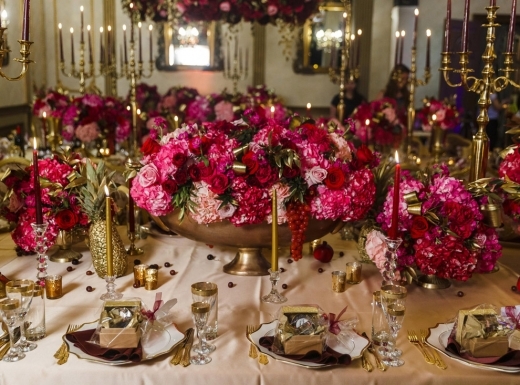 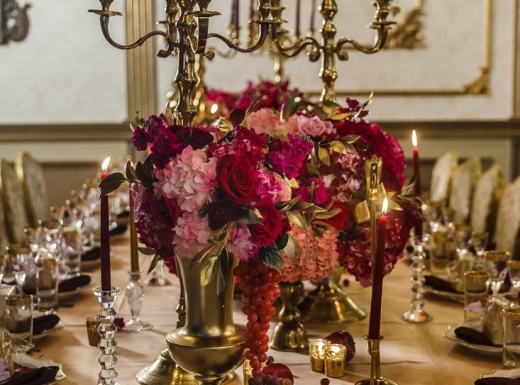 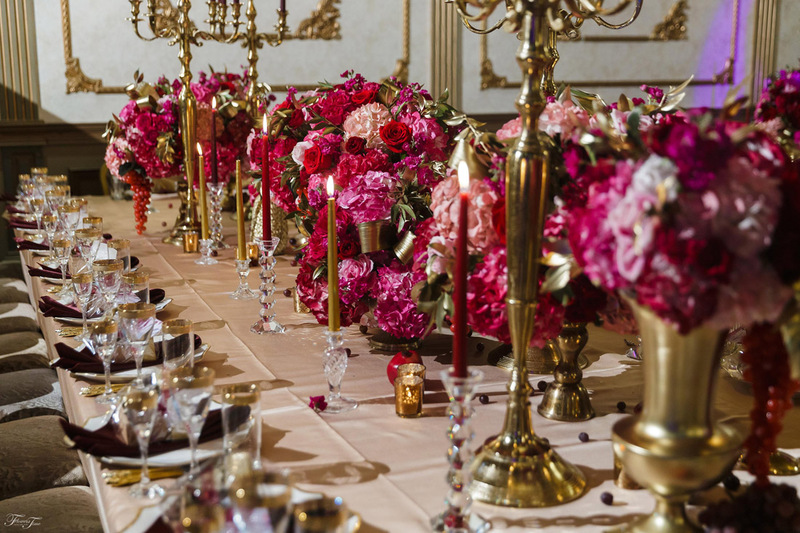 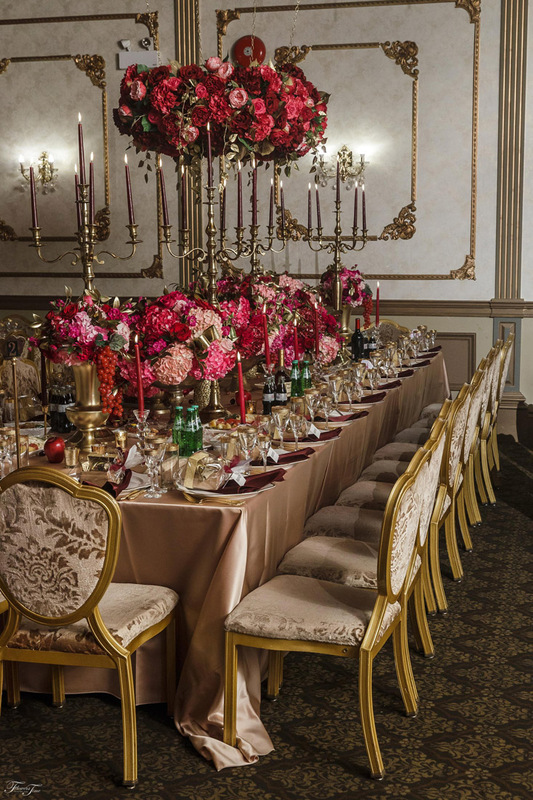 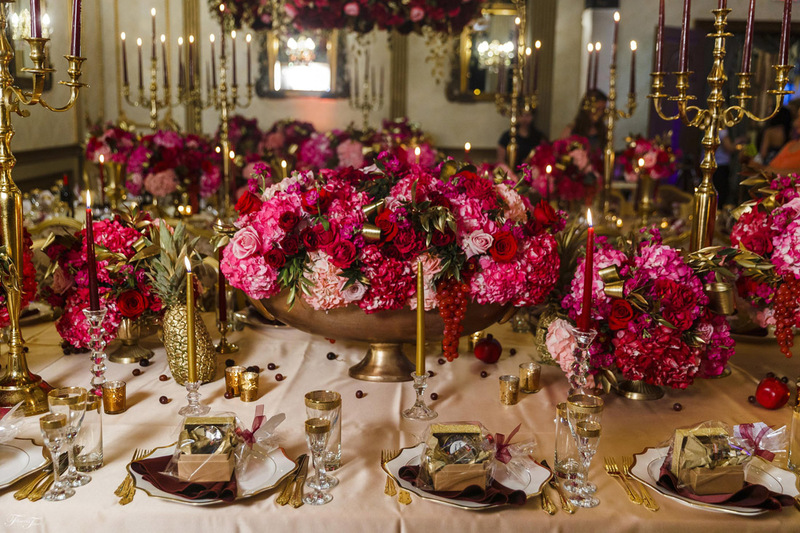 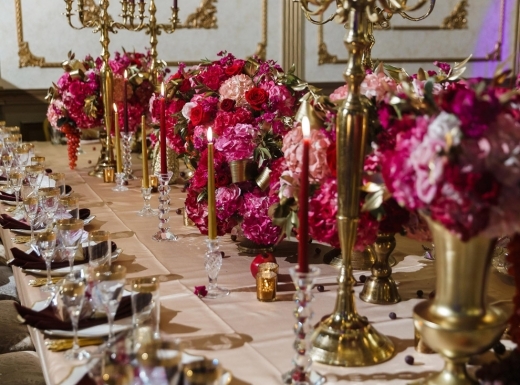 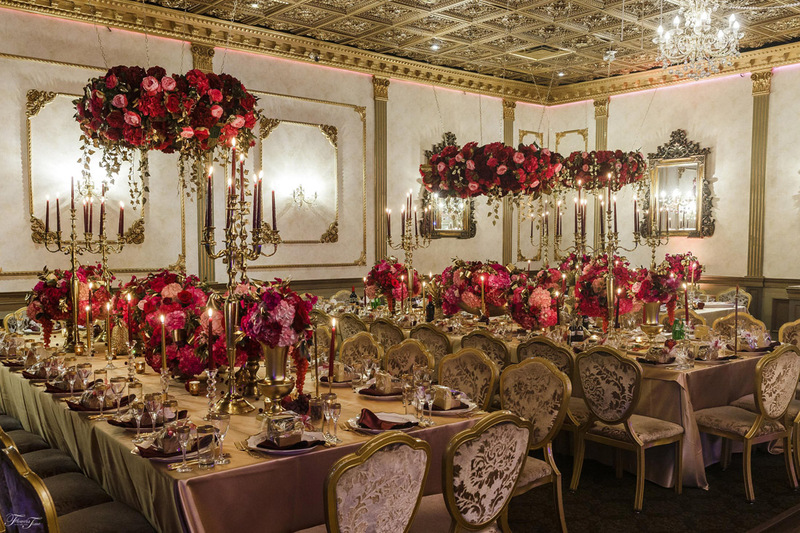 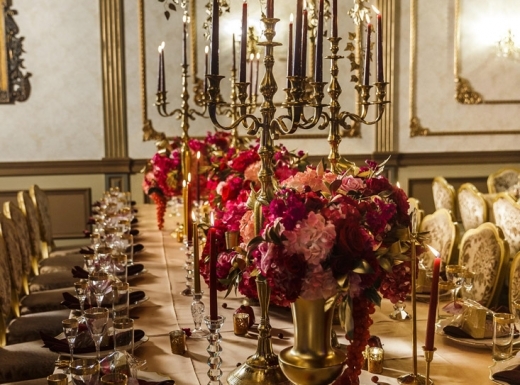 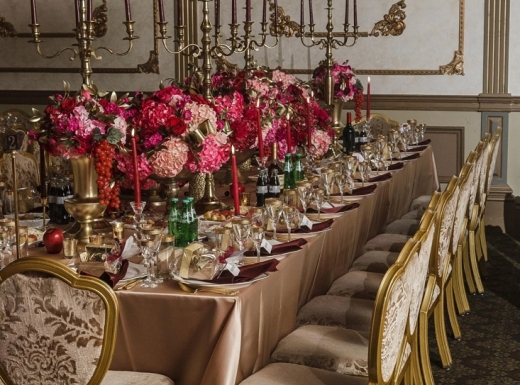 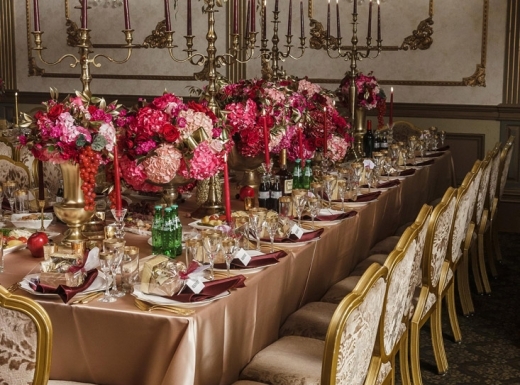 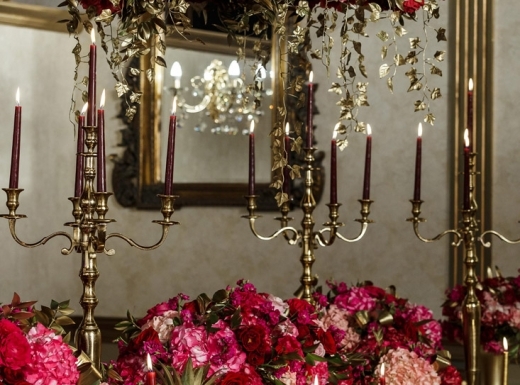 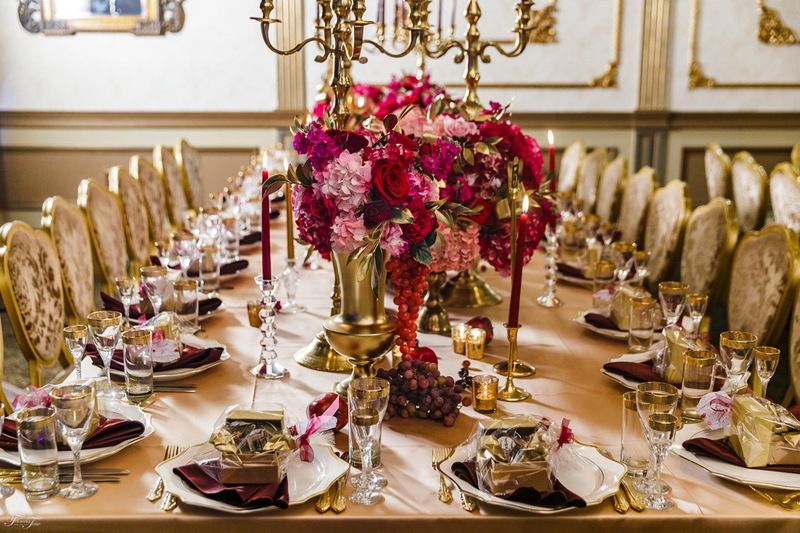 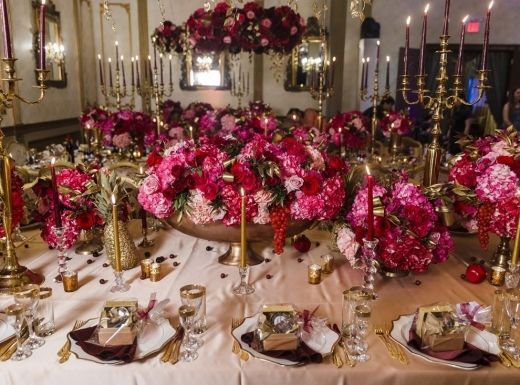 Every lavish detail ups the ante with ultimate romance from the tall candelabras and linens of Posh Styling to the replication of Dolce & Gabbana’s Sacred Heart Evening Bag. 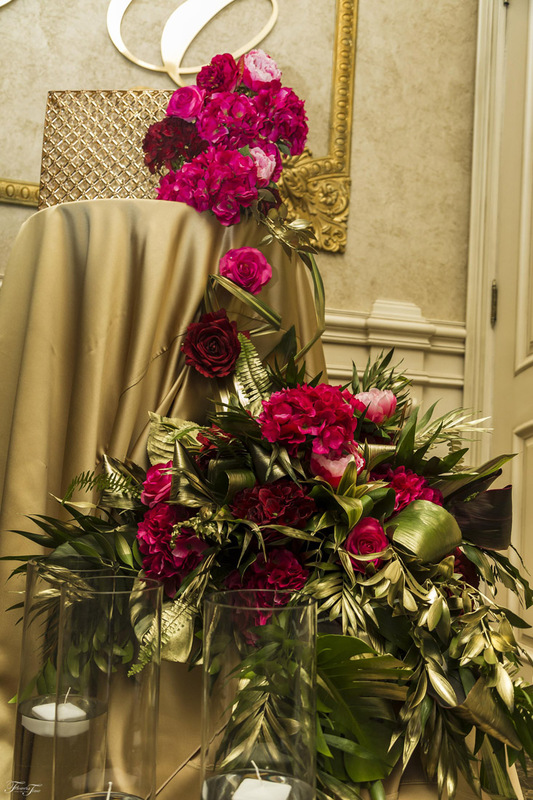 By keeping up with the latest trends, Flowers Time is ready to make any event stylish and spectacular.